BRC 40/22 C 10080620 https://www.kaercher.com/tn/professional/carpet-cleaner/carpet-cleaners/brc-40-22-c-10080620.html Compact BRC 40/22 C carpet cleaner for economic and rapid spray extraction or intermediate cleaning of carpeted surfaces of between 250 and 1,000 m². Compact BRC 40/22 C carpet cleaner for economic and rapid spray extraction or intermediate cleaning of carpeted surfaces of between 250 and 1,000 m². Compared to conventional spray extraction machines, the BRC 40/22 C carpet cleaner allows you to work up to 30% faster with guaranteed deep cleaning. This is facilitated by its easy manoeuvrability and the principle of always working in a forward direction so as to avoid unnecessary empty runs. In the meantime, an integrated sweep bin reliably collects particles lying on the surface, such as hair or loose carpet fibres. 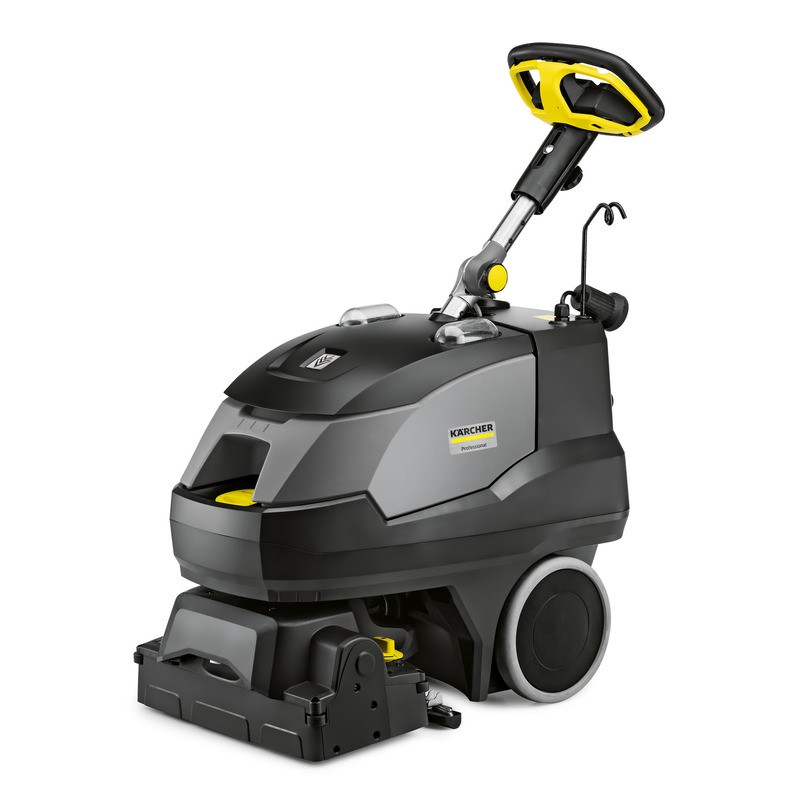 The device is ideal for deep carpet cleaning on small and medium-sized surfaces of up to 1,000 m² and can be used flexibly for spray extraction or for intermediate carpet cleaning. When using the iCapsol cleaner RM 768, which we recommend for intermediate cleaning, the drying time of the carpet is reduced to about half an hour, making it the ideal cleaning method for high-traffic carpet surfaces. Moreover, the cleaning head, which is equipped with a carpet cleaning brushand can be rotated with the steering wheel, simplifies and accelerates the cleaning of very hard-to-reach surfaces even more significantly.